Ooo, haven't seen that build in a long while. Was kind of hoping to see him in Hades colors at last but I'll take the matching seafoam green. Definite retro vibe to the drop so far. How have I never seen this build before?! Argen looks ace in that gunmetal grey/silver! Love those darker gun metal(?) paint apps, and that new head mask makes Argen look even more sinister. Neat! All the darker areas are paint apps, yes? Shot in metallic silver with everything else painted. Some all new apps on this one! Cool! Diggin' the new look for the sunken parts of the chest, that's for sure. Looks incredible with the new paint masks & the tampo on only one side of the chest still looks great. Question: Is the darker metallic paint close to the metallic nickel color of the Warlord Villser? Right? I got nothing to match that guy...gotta dust em off if this is so. 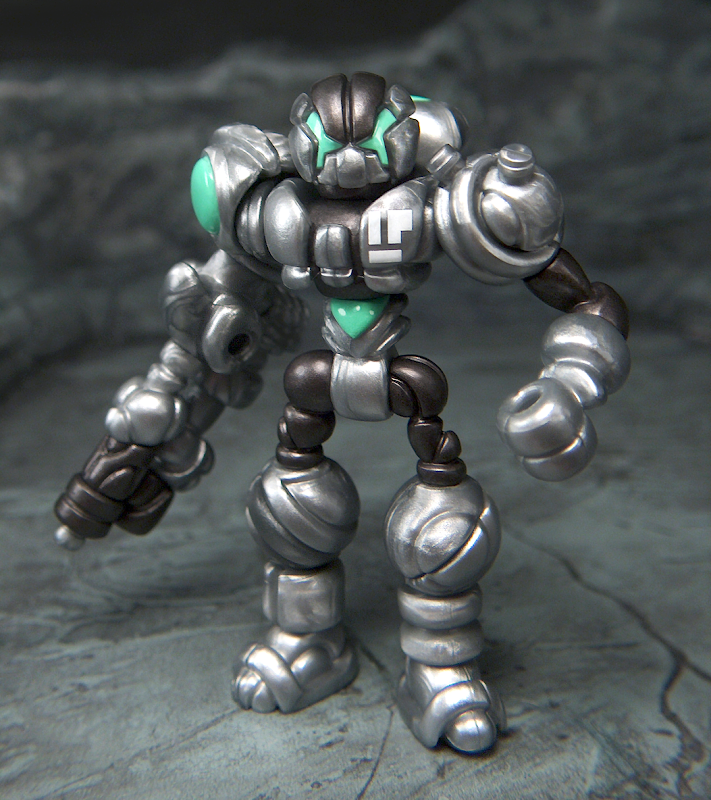 It's a gunmetal paint, similar to the gunmetal hue on the Xycoss runs. Fairly neutral and has pretty good building potential. Ah, gunmetal. I can get down with that. What is the piece that we can't see, behind the right shoulder, that connects the shoulder to the arm cannon?